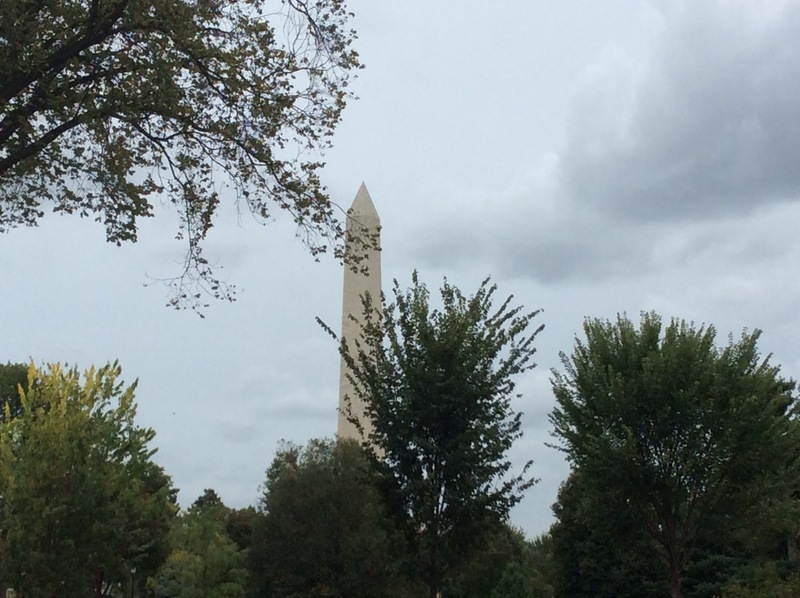 Washington, DC is a city of monuments and memorials. They honor the generals, politicians, poets and statesmen who helped shape the country. 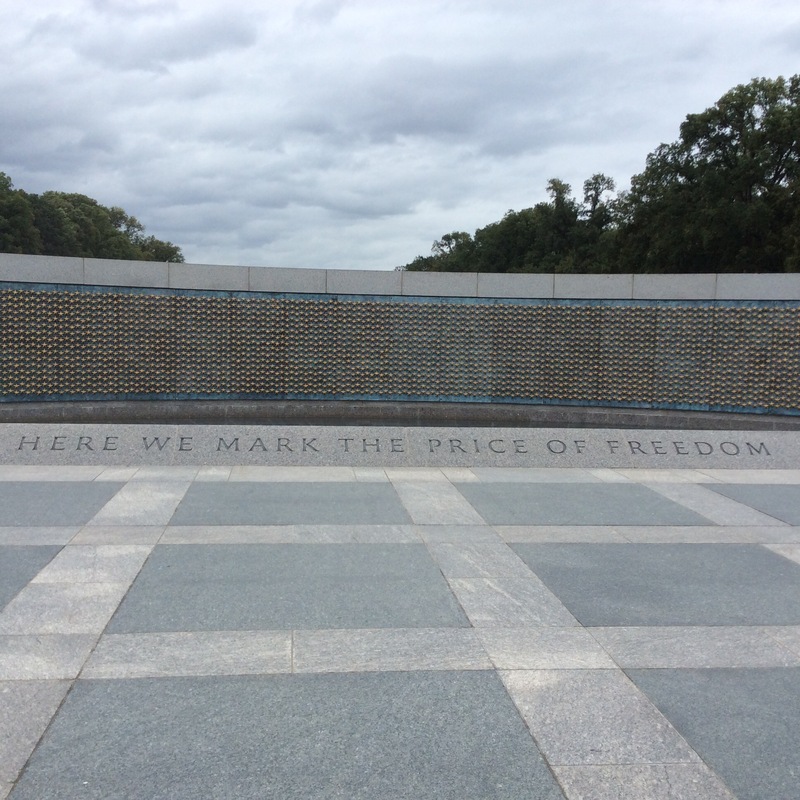 Although the most famous monuments and memorials are on the National Mall, you will find statues and plaques on many street corners around the city. 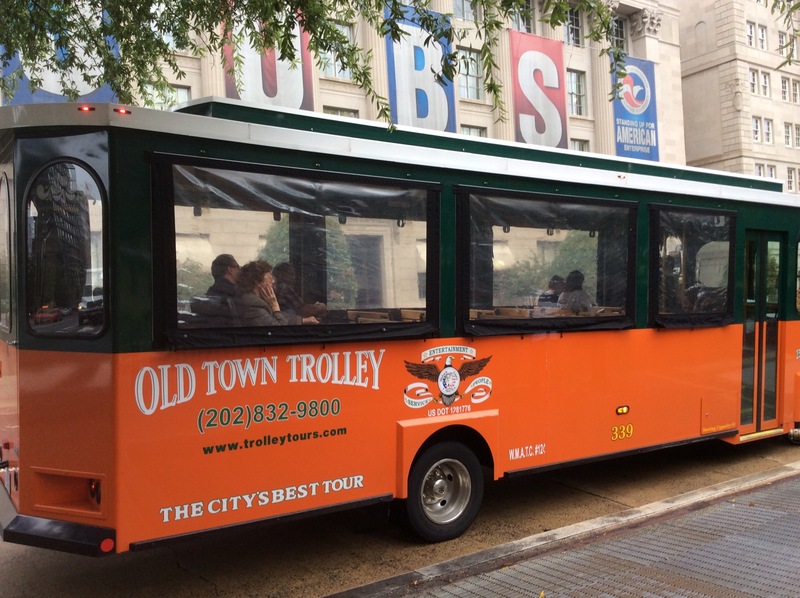 We saw lots of monuments and memorials on our Old Town Trolley Bus tour. 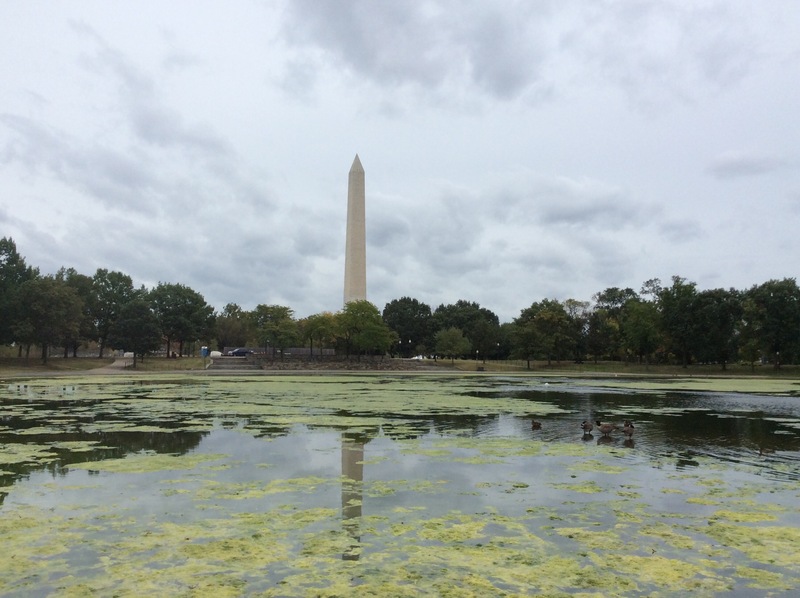 The National Mall is a national park in downtown Washington, D.C. The National Park Service (NPS) administers the National Mall, which is part of its National Mall and Memorial Parks unit. The term National Mall commonly includes areas that are officially part of West Potomac Park and Constitution Gardens to the west, and often is taken to refer to the entire area between the Lincoln Memorial and the United States Capitol, with the Washington Monument providing a division slightly west of the center. 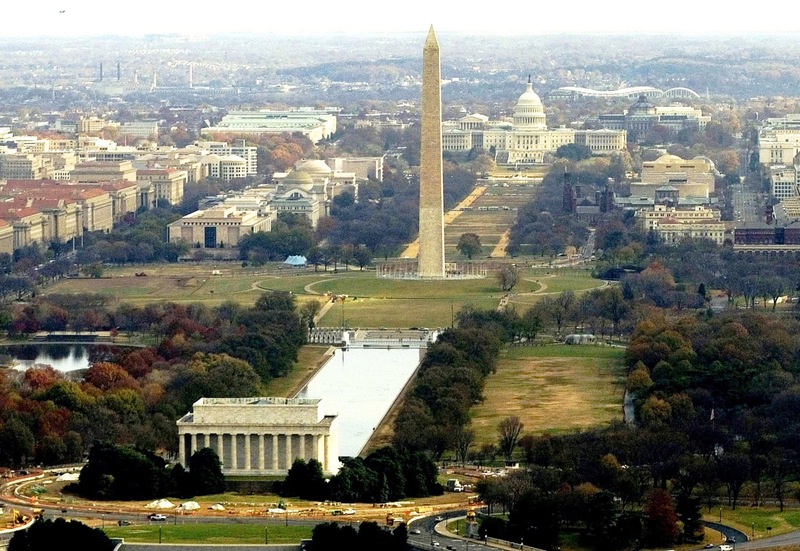 The National Mall receives approximately 24 million visitors each year. 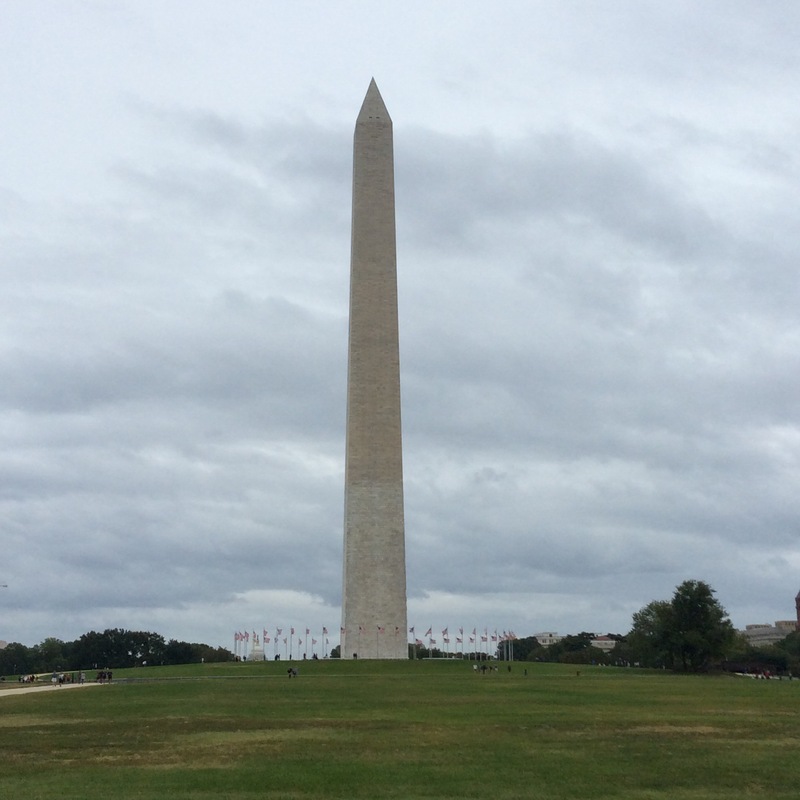 The Washington Memorial can be seen from many vantage points around the city and is the memorial to George Washington, the nation’s first president It took 40 years to complete its original construction due to lack of funds, but was finally dedicated in 1885. It has recently been refurbished to its original splendor. You can take the elevator to the top and see a great view of the city. 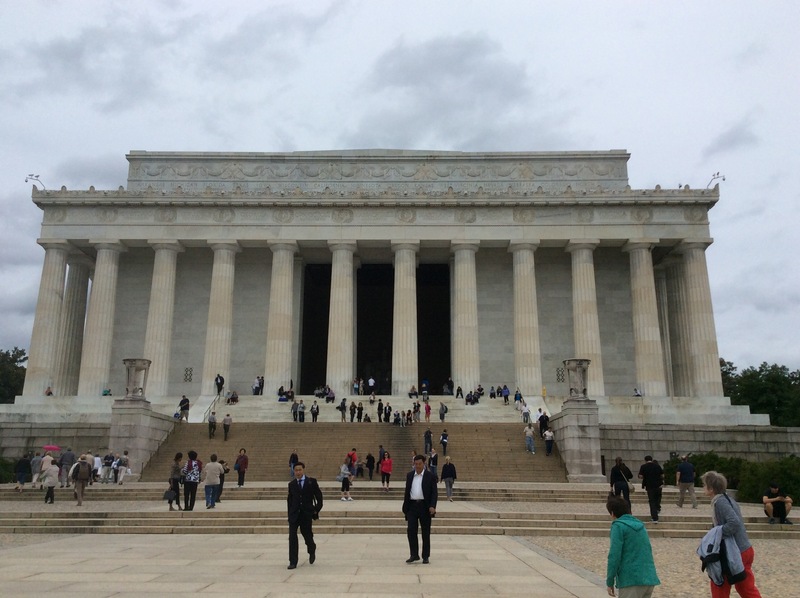 The Lincoln memorial was dedicated in 1922 to honor President Abraham Lincoln. 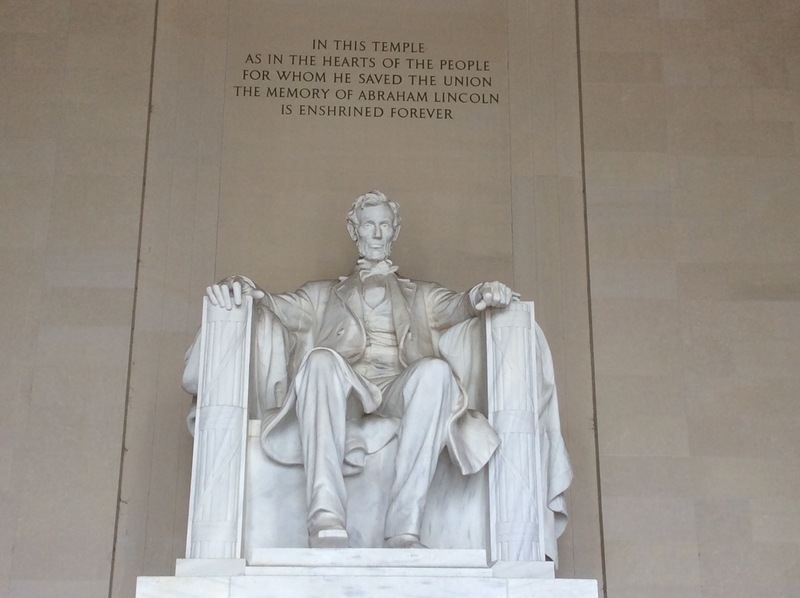 Thirty-eight Grecian columns surround a statue of Lincoln seated on a ten-foot high marble base. This impressive statue is surrounded by engraved readings of the Gettysburg address, his Second Inaugural address and murals by French painter Jules Guerin. 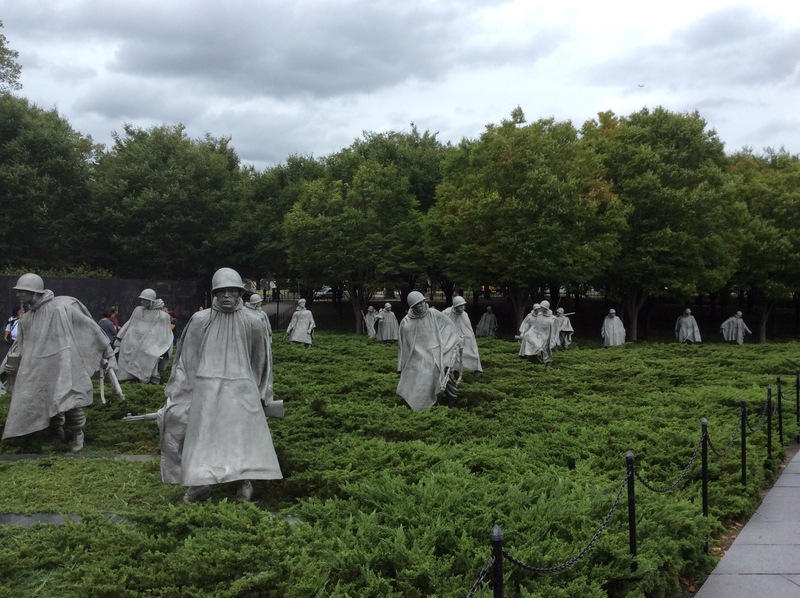 The Korean War Veterans Memorial honours those who were killed, captured, wounded or remain missing in action during the Korean War (1950 -1953). Nineteen figures represent every ethnic background. The statues are supported by a granite wall with 2,400 faces of land, sea and air support troops. A Pool of Remembrance lists the names of the lost Allied Forces. This included New Zealand. 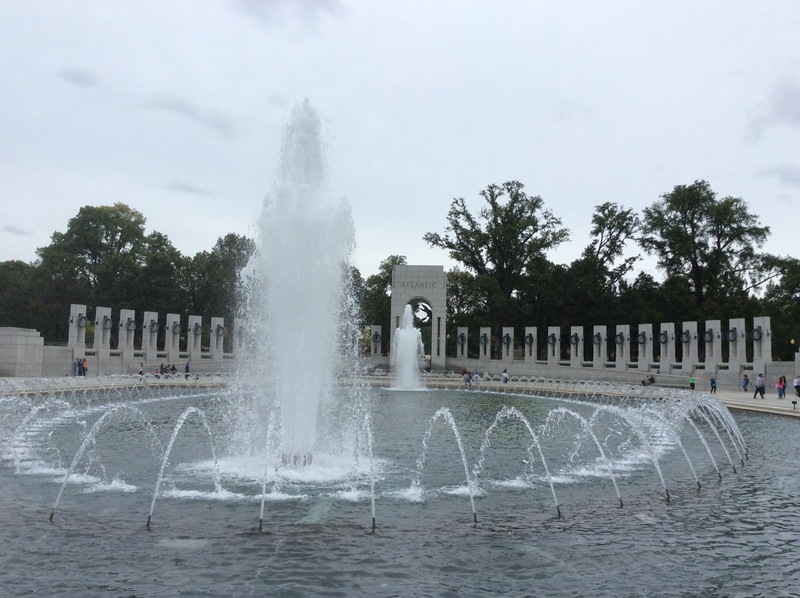 The World War II Memorial, located on the National Mall is a beautiful place to visit and pay your respects to World War II veterans. 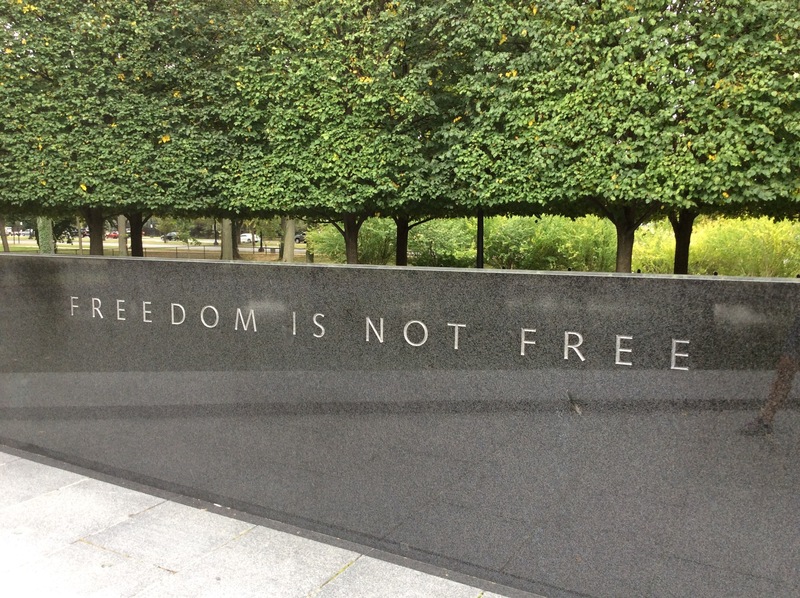 The memorial opened to the public on April 29, 2004. The Memorial is an oval shape with two 43-foot arches, representing the war’s Atlantic and Pacific theaters. 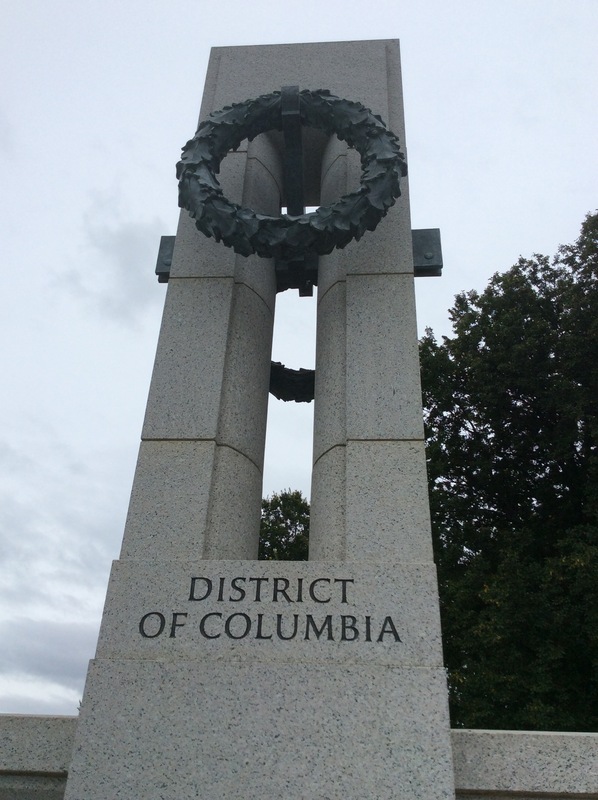 Fifty-six pillars represent the states, territories and the District of Columbia at the time of the World War II. Two sculpted bronze wreaths adorn each pillar. 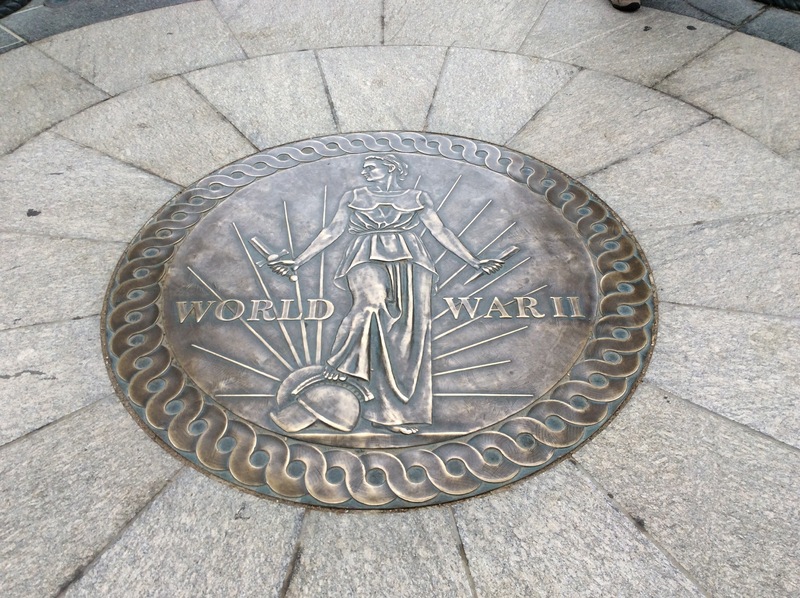 The bases of granite and bronze are adorned with the military service seals of the Army, Navy, Marine Corps, Army Air Forces, Coast Guard and Merchant Marine. Small fountains sit at the bases of the two arches. Waterfalls surround a wall of 4,000 gold stars, each one represents 100 U.S. deaths in the war. More than two-thirds of the memorial consists of grass, plants and water. A circular garden, called the “Circle of Remembrance,” is enclosed by a two-foot-high stone wall. 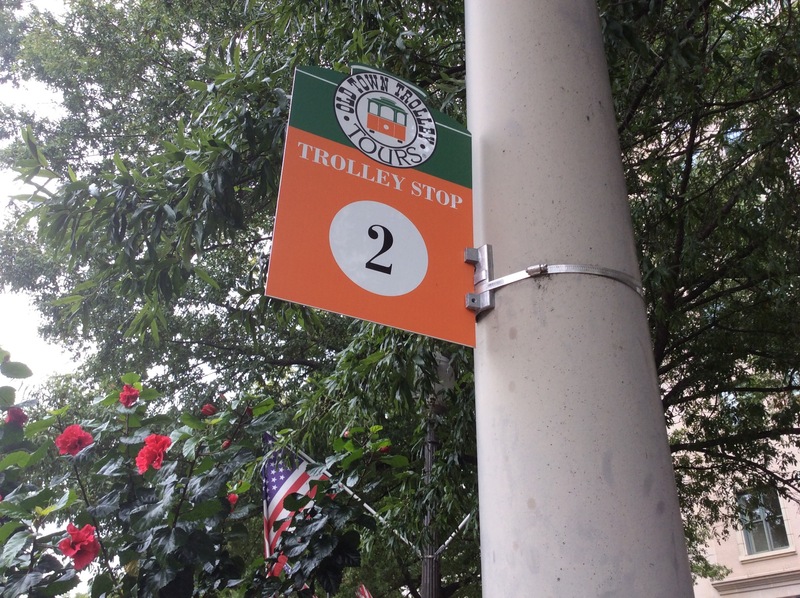 This entry was posted in District of Columbia, USA. Bookmark the permalink.